So you want to register a charity? Perhaps you’re setting up a brand new organisation to achieve change in your community. Perhaps its time for your existing community group to take the step to become a formal charity. Here are some of the lessons we’ve learned as we’ve helped organisations through this process. Registering your charity is not the first step in the process. First you need to decide on the type of organisation that you want to be, appoint your trustees and write your governing document. The Charity Commission website helps you with governance as well as the process of registering. There are different rules in Scotland and Northern Ireland which you will find here. Using one of the Charity Commission’s model governance documents is a good idea. For starters, they help you think through all the things you need to decide. Secondly, the Charity Commission are used to working with them, making questions less likely. Watch out for the objects clause . You’ll need to use specific Commission language here, and again when you register your charity. Choose from a prescribed thirteen set forms of words. Remember these words limit what you can do, so go broad. When thinking about your board, it’s simpler to register if your board only has non executive members (i.e. staff members don’t sit on the board). 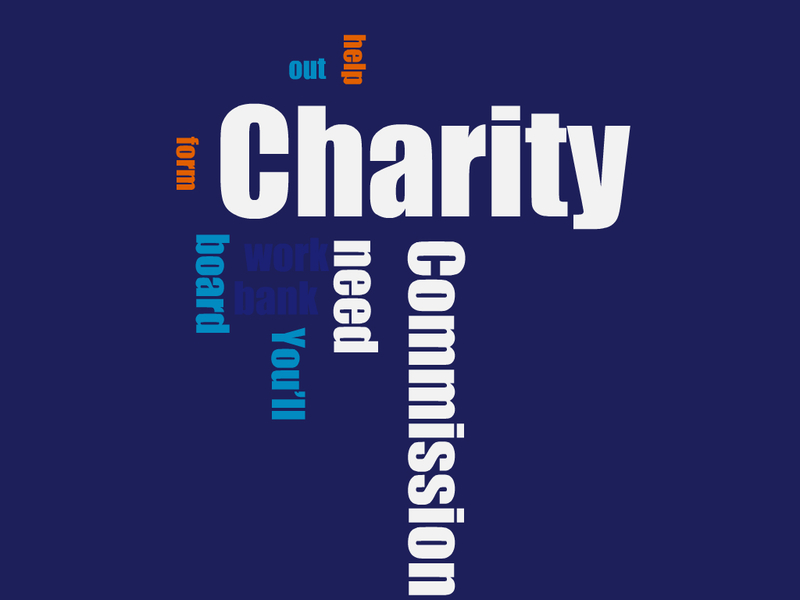 The Charity Commission is concerned that board members do not benefit from your work. If you want staff on your board you’ll need to manage any potential issues of personal benefit. Open a bank account (if you don’t already have one). This can feel circular – the Charity Commission wants your bank account details for you to register, the bank wants your charity registration number. Talk to your bank – they are used to this, and can help with accounts specifically for community groups to get you going.Well done! You’ve decided on your form of organisation, written your governing document, appointed your trustees and opened a bank account. It’s time to begin on the charity registration process. The Purposes section of the registration form is where you repeat the objects in your governing document – using those standard thirteen set forms of words – remember those? Now you’re ready to tackle the rest of the “Purpose and public benefit” section and the “Operating and public benefit”. Describe what your charity does and include a link to your website if you have one. Help the Charity Commission understand what you do, who you work with and how you will achieve your objectives. Add examples to bring this to life. The “where you work” section is simple unless you work globally. If you are working to deliver benefits that will help people around the world then settle down – you’ll need to add every single country in the world one by one. Watch out for the trustee declaration form. You’re going to need all of your trustees to sign the same document confirming their identities. It’s worth printing off the form and sending it round to your trustees well before you are ready to hit submit. So now you submit and sit back? Maybe, but not all registrations go through first time. Be prepared for questions, and respond with good detail and examples and in good time. The process can take between 4 and 8 weeks. So, 10 steps and you’re on your way. Good luck!